Six players will make their women's world hockey championship debut for Canada next month. 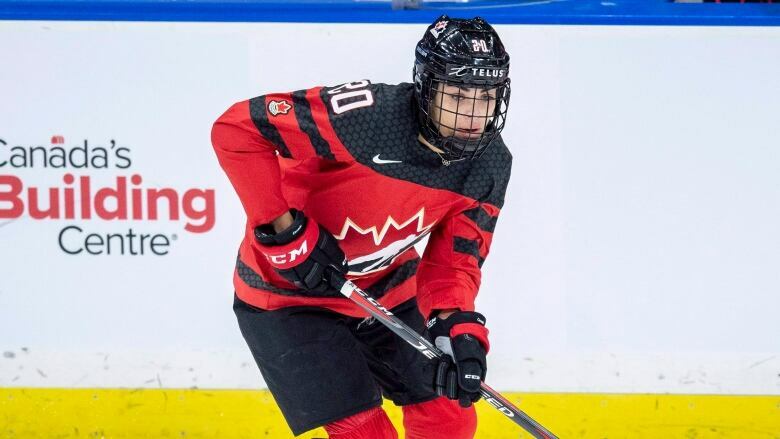 Forwards Melodie Daoust of Valleyfield, Que., Ann-Sophie Bettez of Sept Iles, Que., Sarah Nurse of Hamilton and Loren Gabel of Kitchener, Ont., plus defenders Jamie Bourbonnais of Mississauga, Ont., and Micah Zandee-Hart of Saanichton, B.C., have been named to Canada's 23-player squad. Canada will attempt to reclaim a world title April 4-14 in Espoo, Finland. The United States has won seven of the last eight. Canada won its last title in 2012 in Burlington, Vt.
Daoust has played in two Winter Olympics for Canada, but injuries have kept her out of world championships. Nurse was a member of the Canadian team that won a silver medal in last year's Winter Olympics in Pyeongchang, South Korea. Bettez is a 31-year-old rookie who made her Canadian debut in February's three-game series against the United States. Sixteen players chosen for the team played in Pyeongchang, where Canada lost the final in a shootout against the Americans. Captain Marie-Philip Poulin of Beauceville, Que., leads the Canadian squad into Espoo. The roster includes a veteran group of goaltenders. Edmonton's Shannon Szabados, Genevieve Lacasse of Kingston, Ont., and Emerance Maschmeyer of Bruderheim, Alta., all have previous world championship experience. The roster was chosen by head coach Perry Pearn, Hockey Canada director of female hockey Gina Kingsbury and head scout Melody Davidson. "We have recently had two competitive short-term competitions with the Four Nations Cup and Rivalry Series where we've had a chance to assess and measure ourselves against other top nations," Kingsbury said in a statement. "The players we have selected have had success at various levels of their careers, both nationally and internationally, and we're excited to get started in Finland." Canada opens April 4 against Switzerland. The U.S., Russia and host Finland also are in Canada's pool. Canada denied 5th straight Olympic women's hockey gold in 'painful' shootout loss to U.S.